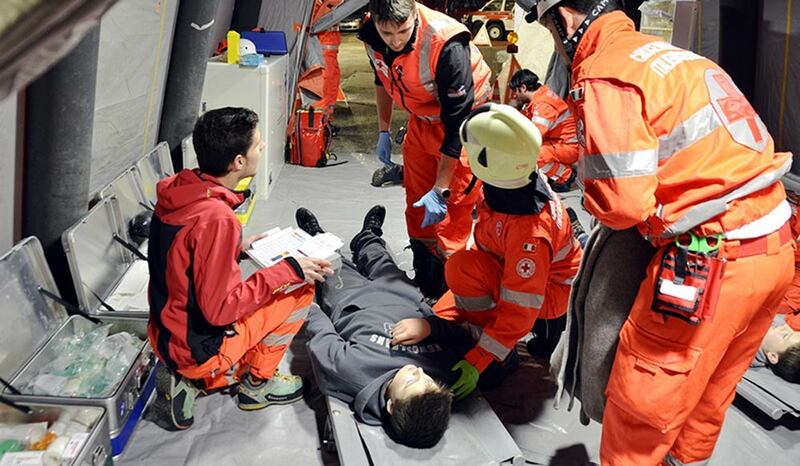 Triage, the “selection and categorization of the victims of a disaster aiming at appropriate treatment according to the degree of severity of illness or injury, and the availability of medical and transport facilities,” is a process not unfamiliar in the world today. Ideally, triage is a situation to be avoided at all costs. But with multiple wars looming across the globe, natural disasters, and other crises that take a mass toll on the health and well-being of groups of people, not to mention the dire lack of resources in many areas internationally, the allocation of medical resources in a manner that essentially favors some patients and leaves lacking for care is sometimes necessary. Triage is widely considered a controversial topic in medicine, with many nuances and ethical concerns for those involved - both patients and providers. The people most drastically, and often most negatively affected by this process, are the patients in need of care. During Triage, “individual medical care needs to be given up in order to conduct a disaster medical approach,” which means that each victim will likely not receive the complete proper care that their condition requires in order to make sure that more patients can be treated. This utilitarian approach is especially common in the case of a mass casualty event, in which the demand for patient care resources is so overwhelming that they cannot be supplemented. Although the initial intention of triage is to make sure the most critically ill patients are treated first and foremost, this can often be inefficient and unresourceful in terms of helping the largest amount of people and ultimately achieving the greatest good. A 1994 World Physician Association statement that declares under disaster conditions, it is appropriate to “abandon one’s commitment of treatment of a single person in favor of stabilizing vital functions of many patients.” In a mass casualty event, patients with the most likelihood of survival, who thus require the least amount of time and resources to treat, receive the most adequate amount of care. There is also great hesitation on the part of physicians who serve in a time of crisis, who usually have little to no knowledge of these patients’ medical histories, to treat severely injured or ill patients. Many physicians do not want to be held accountable for administering certain medications or treatments that could potentially worsen a patient’s condition or even bring about death. No matter what type of patients do or do not receive care, many would argue that triage is an unjust process. But though it may not seem like it, triage is in fact implemented with all of the victims’ well-being in mind. We live in an imperfect world. And in the midst of disaster, triage is an inevitable necessity required to treat victims in the most efficient and, yes, the most ethical way possible.